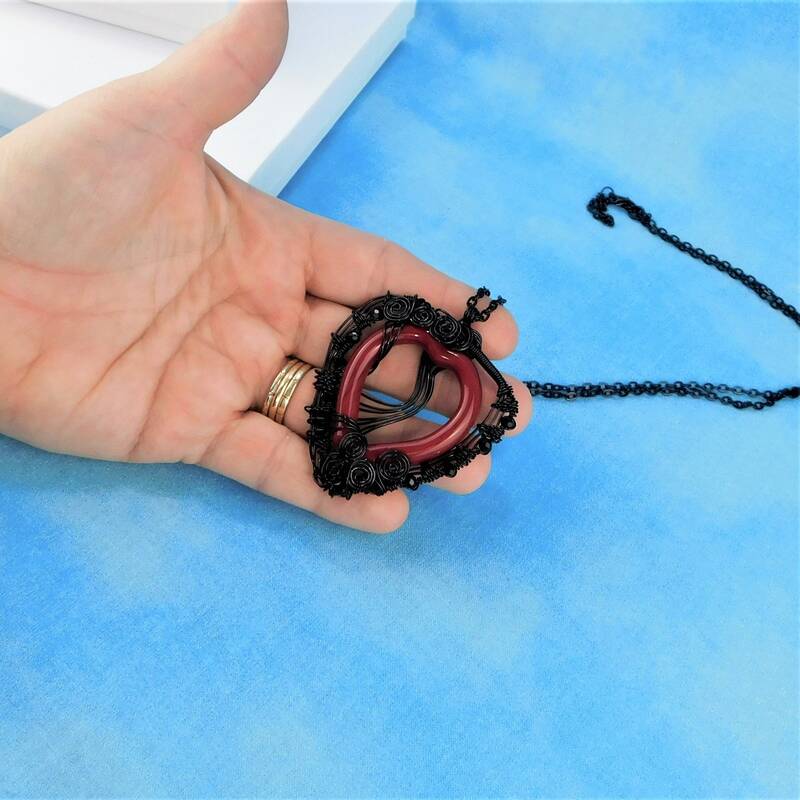 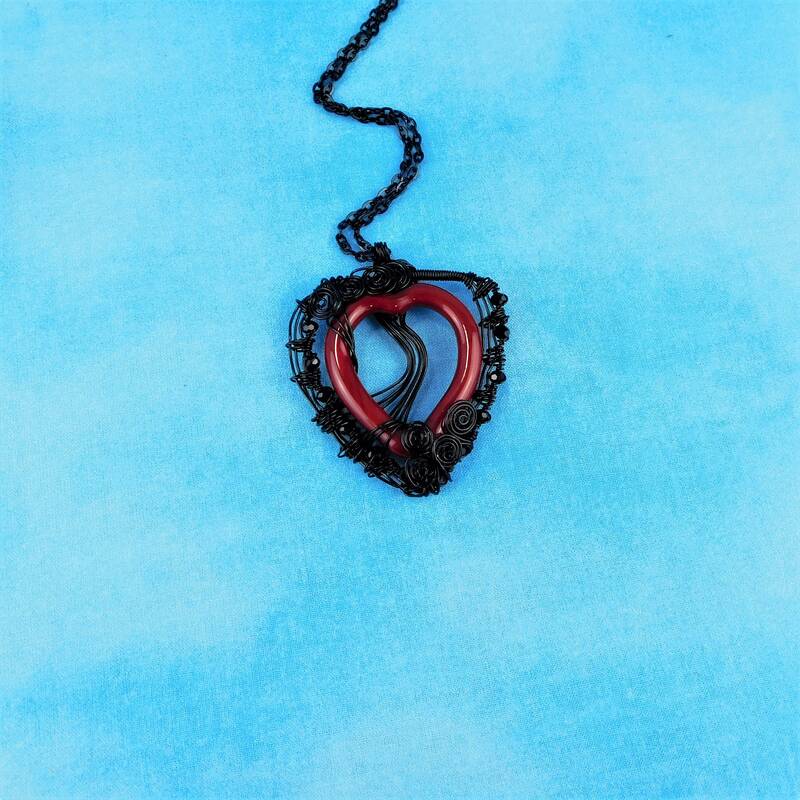 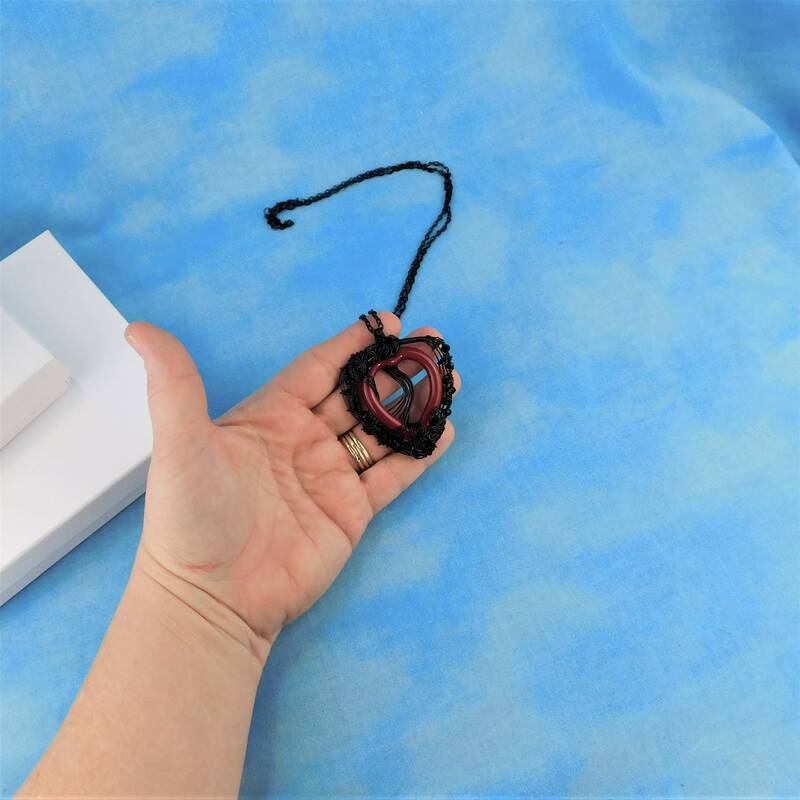 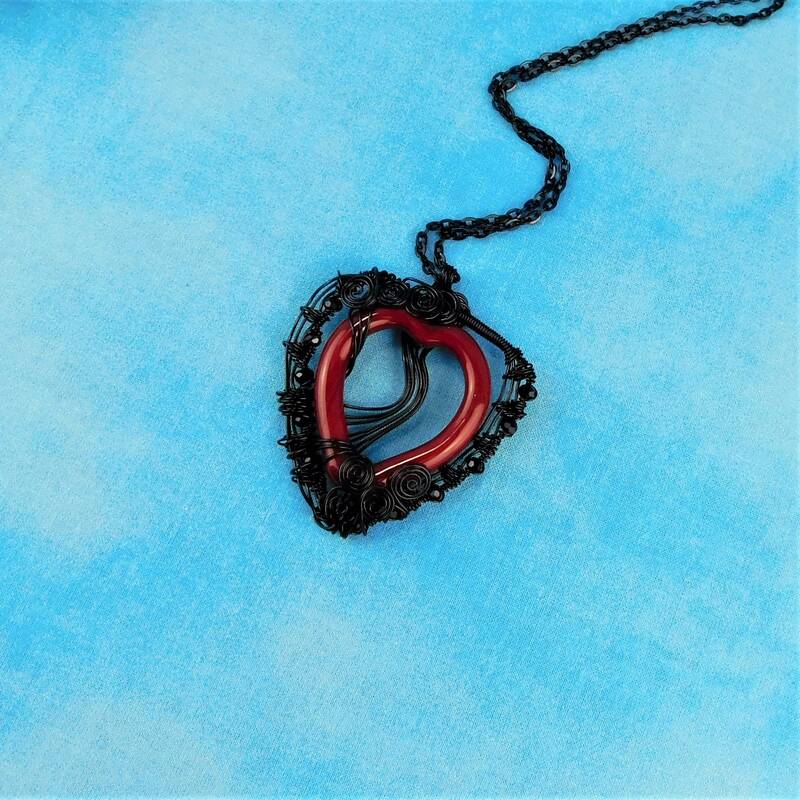 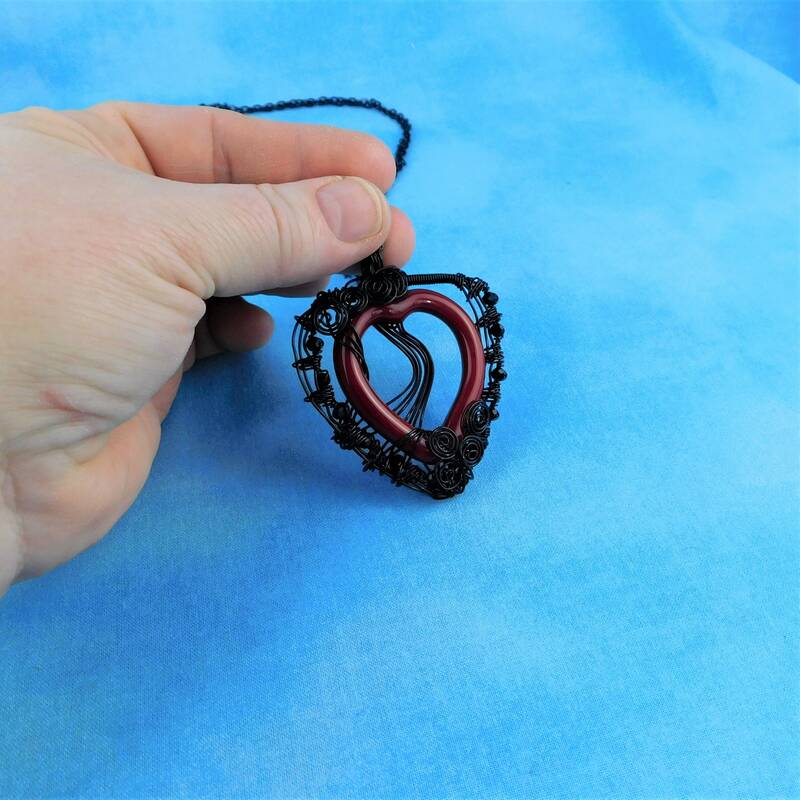 Black colored copper wire is artistically woven, and wraps a red ceramic open heart. 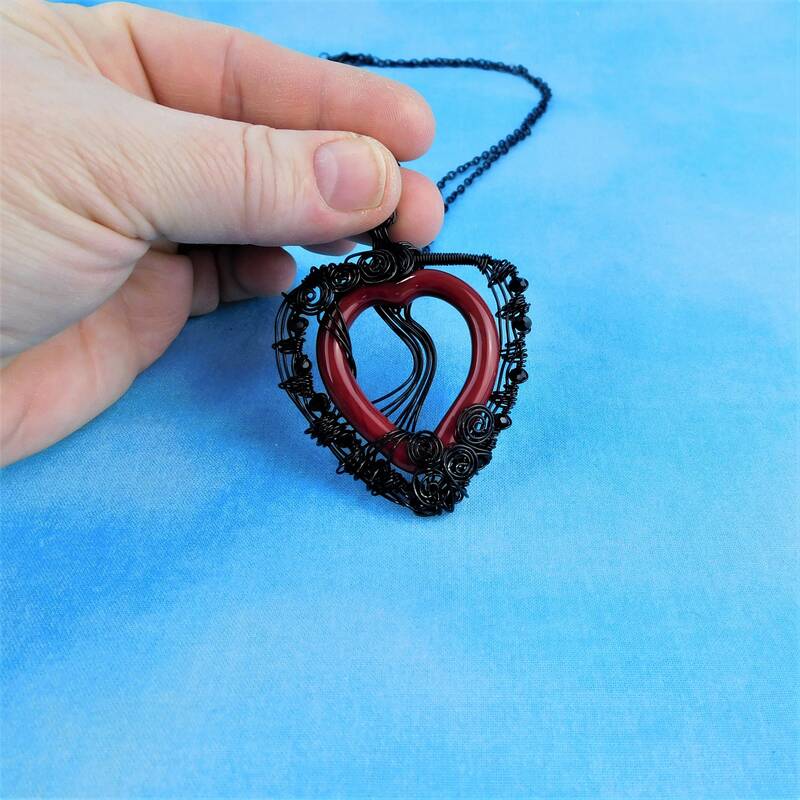 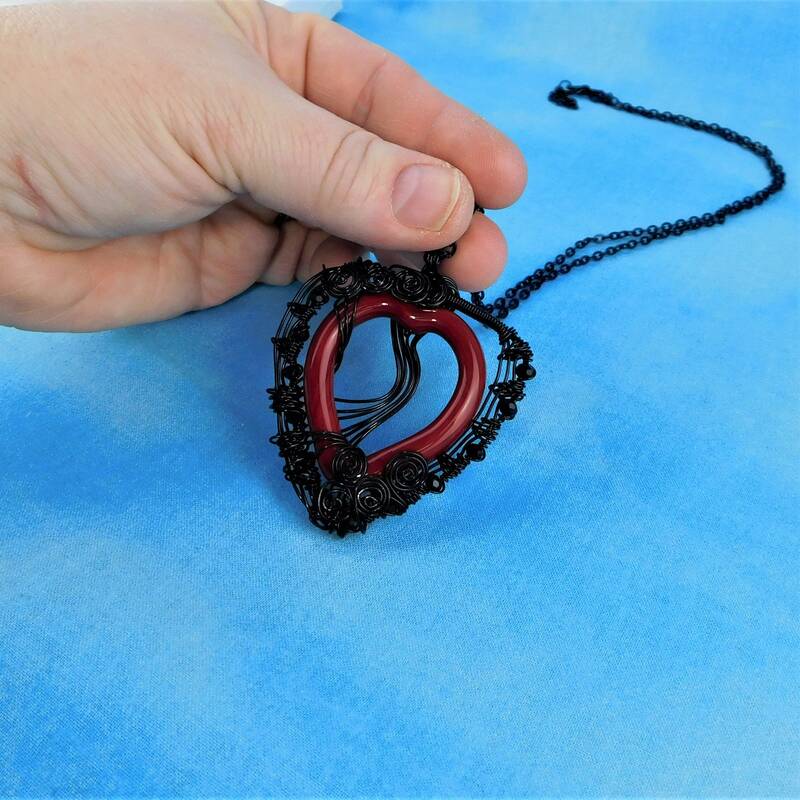 The wire is intricately interwoven with black crystals giving the edges of the heart a shine and flash that subtly frames the deep red of the ceramic heart. 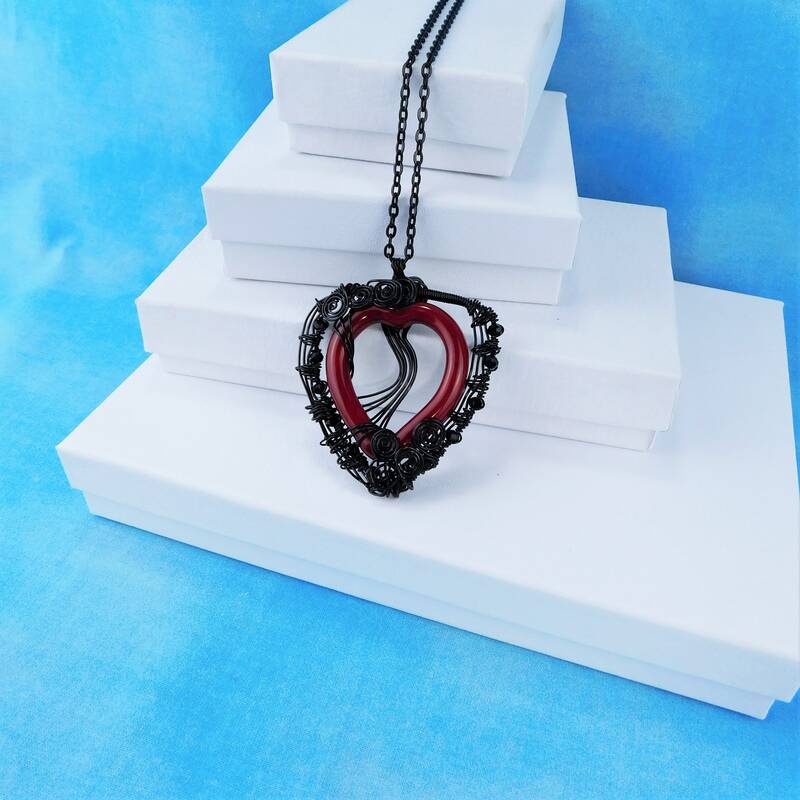 The combination of textures creates an interesting focal point for her Valentine ensemble, or for any day of the year. 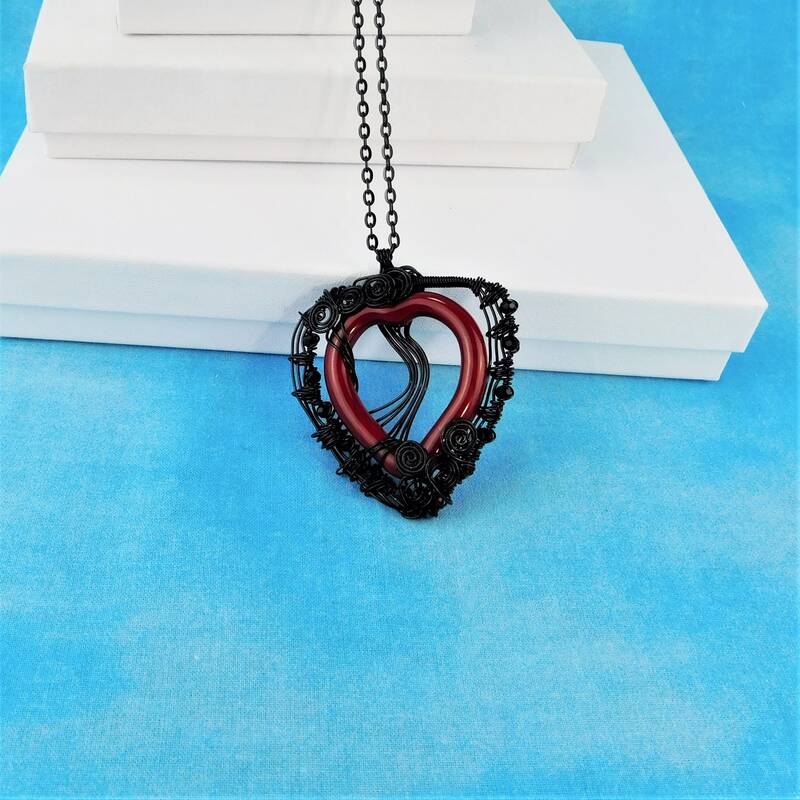 This unique necklace is a feminine accent piece that will remain a classic for years to come.